The Livermore Public Library and Robot Garden are hosting Saturday morning (10-12pm) “Create Lab” at the Civic Center Library, 1188 S. Livermore Ave. 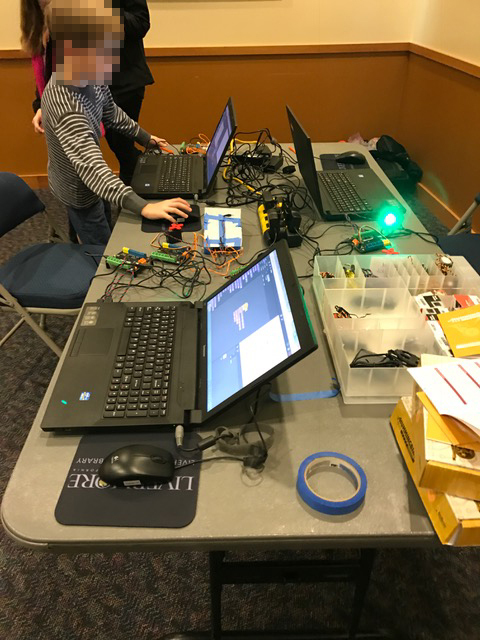 Create Lab is a pop-up makerspace in the Storytime Room that is geared toward children in grades K – 6. Create Lab participants can use a variety of tools to create, including a sewing machine at the textiles station, computer kits to build robotics, and much more. 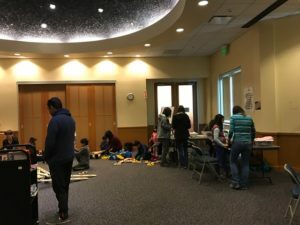 The Library provides cardboard, perler beads, modeling cl ay, and other more traditional construction materials as well. Create Lab is an open learning environment where participants can be creative and take charge of their own learning. The Create Lab also host volunteers with a variety of skillsets so participants can learn new skills. A signed waiver is required for all Create Lab participants, including adults and children. Anyone under the age of 18 must be accompanied by an adult with a maximum of two children per adult. The Create Lab will initially cater to children in grades K – 6, but all ages are welcome. The Create Lab capacity is limited to 40 participants, so access to equipment and materials is on a first come, first served basis. Participants should be aware that some materials in the Create Lab, such as the sewing machine, hot glue guns, and iron, must be used with care to avoid injury. The spring session of Create Lab will run from January 21 through the end of May. 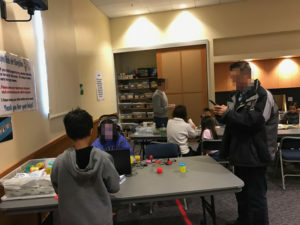 Create Lab at the Livermore Public Library is made possible thanks to donations from the Friends of the Livermore Library and an anonymous donation. For additional information, please contact Nathan Brumley at (925) 373-5572 or njbrumley@livermore.lib.ca.us or Jim Berry at (925) 455-1551 berryjam@robotgarden.org.